The Government has scrapped one of Britain's toughest immigration laws. The Primary Purpose rule, which has barred entry into the UK for thousands of people married to British citizens, has been dropped. Home Secretary Jack Straw said it was being ended because "it is arbitrary, unfair and ineffective and has penalised genuine cases, divided families and unnecessarily increased the administrative burden on the immigration system." The move was described as "hugely welcome" by Claude Moraes of the Joint Council for the Welfare of Immigrants, who said it would be beneficial, both practically and symbolically. Previously, the Primary Purpose rule required foreign nationals married to British citizens to prove that the primary purpose of their marriage was not to obtain British residency. If those wishing to take up residency in the UK could not prove this to the satisfaction of immigration officers, they were denied entry into the United Kingdom. The change in the law is expected to place the burden of proof on immigration officials rather than those applying for residency. In abolishing the rule, Labour is honouring one of its election manifesto commitments. The abolition of the rule will bring immediate benefits to more than 1,000 couples who were barred from the UK on the basis of the rule in 1996 alone. 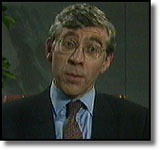 Mr Straw said he was determined to build an immigration and asylum system that was "fairer, faster and firmer". He stressed that the other rules on married partners applying to enter Britain - such as those saying the marriage must not be one of convenience and not place a financial burden on the state - would remain. Mr Straw said the rules would be amended from Wednesday and added, "Entry clearance officers are being instructed not to refuse entry clearance applications where the refusal depends solely on the primary purpose rule." Mr Straw's announcement came in a written reply to a question from Keith Vaz, the Labour MP for Leicester East, who was quick to welcome the change. Mr Vaz said, "This is an historic decision. Jack Straw should be congratulated on this move. Thousands of people separated under this cruel and malicious rule will now be treated with the respect they deserve. Today's announcement is the first step towards restoring justice to Britain's immigration policy."